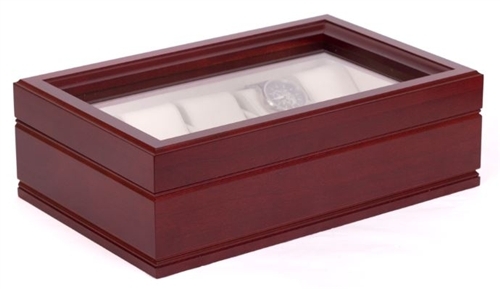 Glass top watch box holds 10 watches in soft-suede "watch pillows". 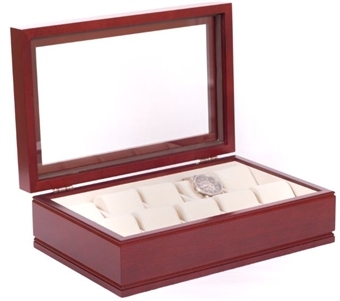 Solid cherry hardwood with Mahogany finish & glass top. Great gift for him! Made in USA.